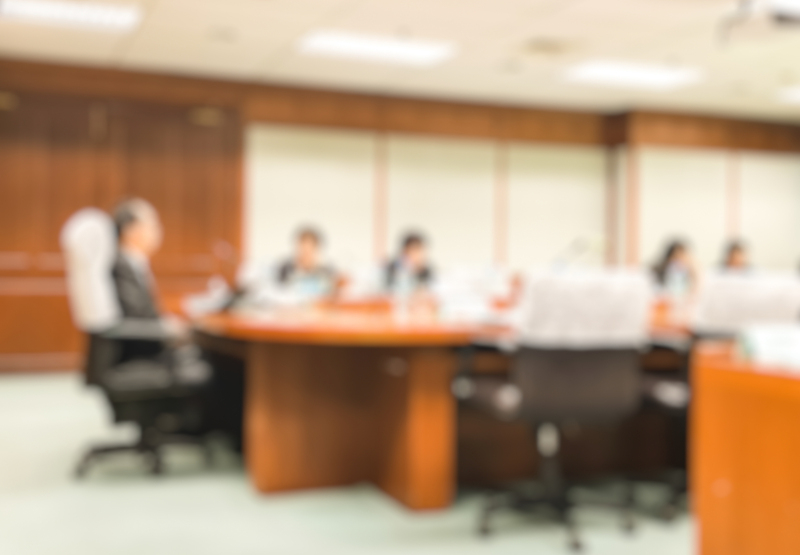 As shareholders of U.S. public companies demand more accountability for performance from management, boards are under pressure to continue to strengthen the pay-for-performance linkage of their incentive compensation plans. Their effectiveness at doing so will be formally judged by shareholders through two vehicles created by Dodd-Frank: Say-on-Pay and an anticipated requirement that boards explain the relationship between pay and performance in the Compensation Disclosure & Analysis sections of proxy statements. The increased exposure stemming from Dodd-Frank means that it is imperative for compensation committees to assure that the rationales for their incentive plans’ performance goals are demonstrably sound. An effective approach to setting appropriate goals is to use probability analysis to determine the likelihood of attaining different levels of performance. 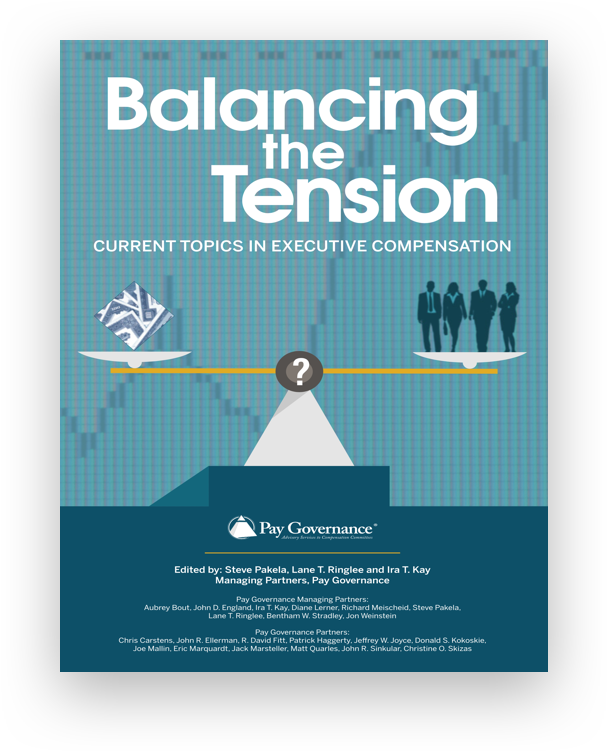 Though this approach is only one of various tools that compensation committees may use, Pay Governance research has shown that consistently achieving goals set in this manner is associated with superior returns to shareholders. However, this wholly quantitative method is by no means a panacea; business judgment is always required. This approach is based on rigorous analysis of historical and expected performance data for the company in question and its peers. The historical data are actual results achieved over five-plus years. Data on near-term performance expectations are drawn from equity analysts’ reports and internal investor-relations research. For each performance metric used, the analysis assigns a range of the probability of attainment. Corresponding levels of difficulty are then assigned to these ranges. As this methodology considers data from peer companies, it can help compensation committees set performance goals that are both competitive and realistic. 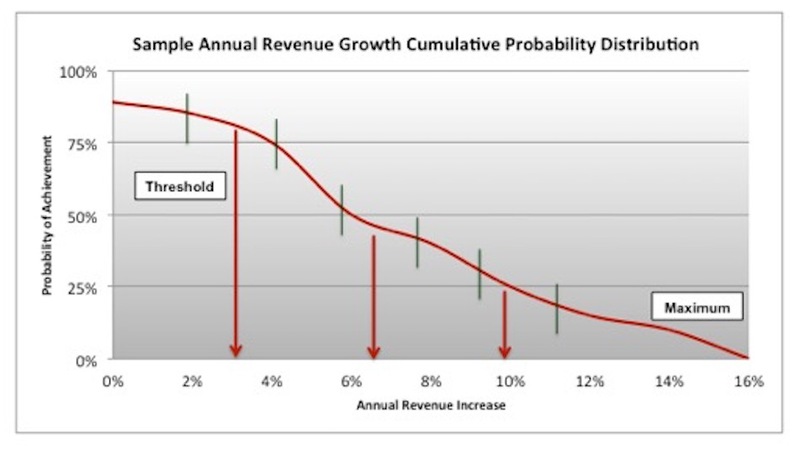 The illustration below depicts results from applying this analysis to the goal of revenue growth. The line on the graph depicts the distribution of consolidated historical annual revenue figures and expected results. Hash marks along the line indicate the likelihood of attaining different levels of increases. In this scenario, there is roughly a 50% probability of achieving 7% revenue growth. The line can easily be turned into a preliminary set of goals. As shown in the table below, a company using this data would likely set the payment threshold ata 3% increase in revenue growth and the maximum standard at 11%. Target growth is 7%. In some cases, the results of this analysis may validate the appropriateness of goals already in use. Such results may increase the compensation committee’s comfort level with the existing incentive plan’s pay/performance relationship. In one case, a company used this analysis to determine the likelihood of reaching goals for revenue growth, earnings per share and return on equity in a hierarchy of difficulty levels ranging from “not challenging” to “extremely challenging.” The committee found that the targets then in use for all three metrics – which all fell within the probability-of-attainment range of 45% to 50% (“challenging”) – were consistent with those of the company’s incentive plan. Though the committee made no changes, performing the probability analyses nonetheless reflected due diligence whose findings could be reported to shareholders. In the case of another company(illustrated below), the committee used business judgment to make adjustments to preliminary incentive plan goals for revenue and EPS, shown below as "Plan". The analysis of historical and expected performance data for revenue growth had resulted in a goal similar to that employed by the business plan. Yet the analysis for an EPS target suggested a level higher than that of the plan. After careful consideration, the committee increased the EPS target, raising the bar for incentive payments on this measure of performance. The committee pointed out to management that this adjustment was not a substantive revision to the business plan, but a refinement based on thorough quantitative and qualitative analysis. 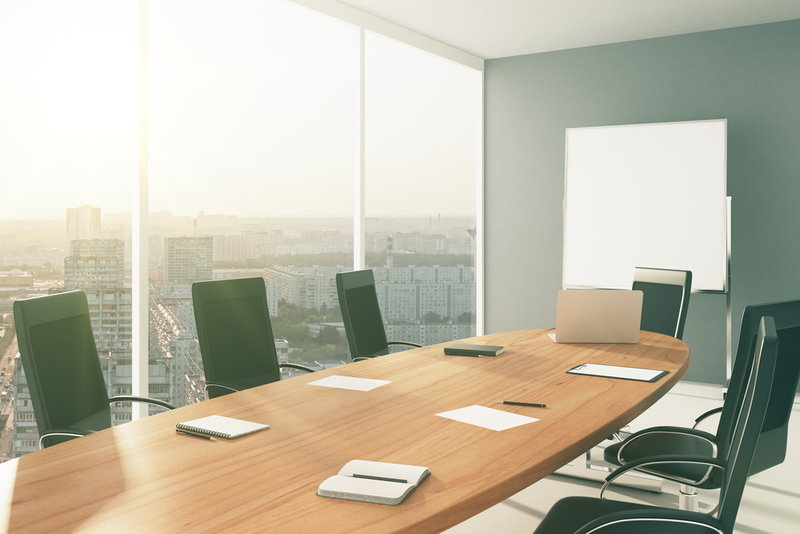 Using this methodology can provide data-intensive bases for performance goals, thus helping boards withstand the increasingly close shareholder scrutiny of the new disclosure environment. Yet such quantitative tools are not a substitute for business judgment. Rather, they are a foundation that directors can use to make sound goal-setting decisions. 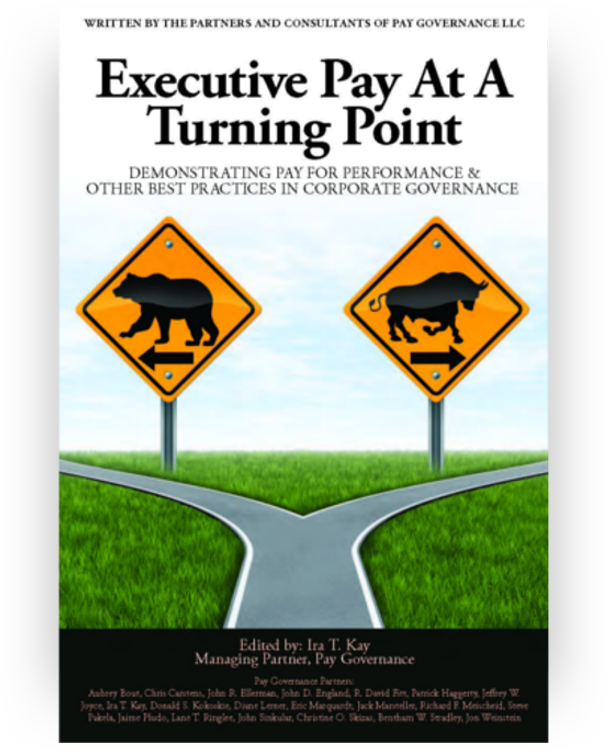 General questions about this Viewpoint can be directed to Eric Marquardt by email at: eric.marquardt@paygovernance.com.